The "Collegiate School" moved to New Haven in 1716, and shortly after was renamed Yale College in recognition of a gift from British East India Company governor Elihu Yale. Originally restricted to theology and sacred languages, the curriculum began to incorporate humanities and sciences by the time of the American Revolution. In the 19th century the school introduced graduate and professional instruction, awarding the first Ph.D. in the United States in 1861 and organizing as a university in 1887. Yale College undergraduates follow a liberal arts curriculum with departmental majors and are organized into a social system of residential colleges. Almost all faculty teach undergraduate courses, more than 2,000 of which are offered annually. Students compete intercollegiately as the Yale Bulldogs in the NCAA Division I Ivy League. 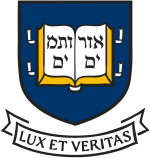 Yale has graduated many notable alumni, including five U.S. Presidents, 19 U.S. Supreme Court Justices, 13 living billionaires, and many heads of state. In addition, Yale has graduated hundreds of members of Congress and many high-level U.S. diplomats. 52 Nobel laureates, 5 Fields Medalists, 247 Rhodes Scholars, and 119 Marshall Scholars have been affiliated with the University. Sam Tsui '11 and Simone Policano '16 lead an unconventional tour of Yale College. A Productive Day in My Life at Yale In today's video, I take you guys along for a day in my life at Yale and give you some tips for productivity along the way.